Analysis: Reports first leaked shortly after the season indicating the 49ers didn't plan to pick up Mitchell's option, but the transaction didn't become official until the start of the new league year. The 31-year-old nose tackle is free to sign with any team after posting 17 tackles and no sacks across 14 games last season. 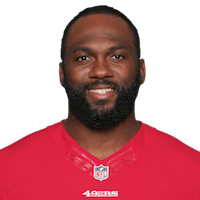 The 49ers will decline Mitchell's team option for the 2019 and 2020 seasons, allowing him to become a free agent in March, Ian Rapoport of NFL Network reports. Analysis: A run-stuffing tackle with just 6.5 sacks in 130 career games, Mitchell garnered 12 starts in his 14 appearances in 2018. The 31-year-old should draw some interest as an unrestricted free agent, though he'll likely have to settle for a reduction in both salary and role. 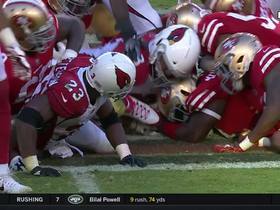 Ssan Francisco 49ers tackle Earl Mitchell picks up Arizona Cardinals running back Adrian Peterson fumble. New York Jets running back Bilal Powell is stuffed on fourth down and stopped short of the first down by Miami Dolphins linebacker Kiko Alonso. 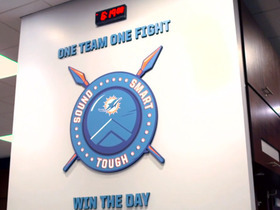 NFL Media's Steve Cyphers takes you inside the Miami Dolphins locker room with a feature about how Joe Philbin and Co. have reshaped the team's definition with a new attitude and credo. 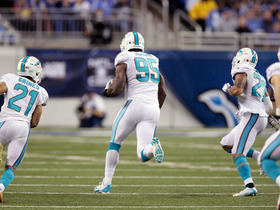 Detroit Lions kicker Matt Prater's field goal attempt is blocked and the ball is recovered and returned by Dion Jordan for 58 yards. 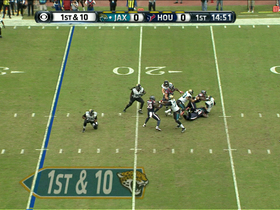 Houston Texans nose tackle Earl Mitchell sacks Jacksonville Jaguars quarterback Chad Henne for a loss of 7 yards on the first play of the game. 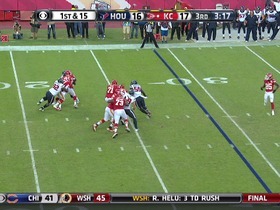 (3:20) (Shotgun) A.Smith sacked at KC 23 for -6 yards (E.Mitchell). 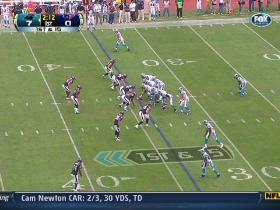 (2:12) C.Newton sacked at CAR 34 for 0 yards (E.Mitchell). 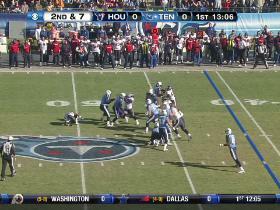 (13:09) K.Collins sacked at HST 49 for -8 yards (E.Mitchell).